When I first visited Paris back in 2011, I didn't really get the city. So I almost never thought about going back.And then three summers ago, I went back with the male and we had such an incredible time, that I couldn't wait to visit again. And living only 15 minutes from King's Cross, when I saw the Eurostar sale, I knew where I wanted to go. This time with my Mama Mcfred. So we popped on just our backpacks, wrapped up warm (well, I did, because I'm a terribly cold person..), and headed in sight of Prosecco and Onion Soup. Obviously. 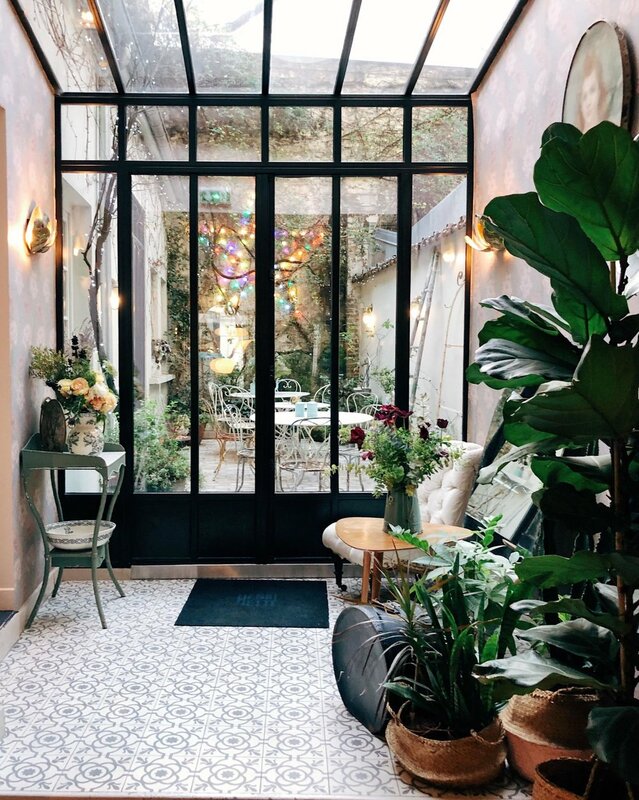 As soon as we arrived into Gare Du Nord, we headed straight to Le Brebant, a place I'd seen online and thought looked gorgeous. It was fairly central, and as we arrived just after lunch, it wasn't too busy. 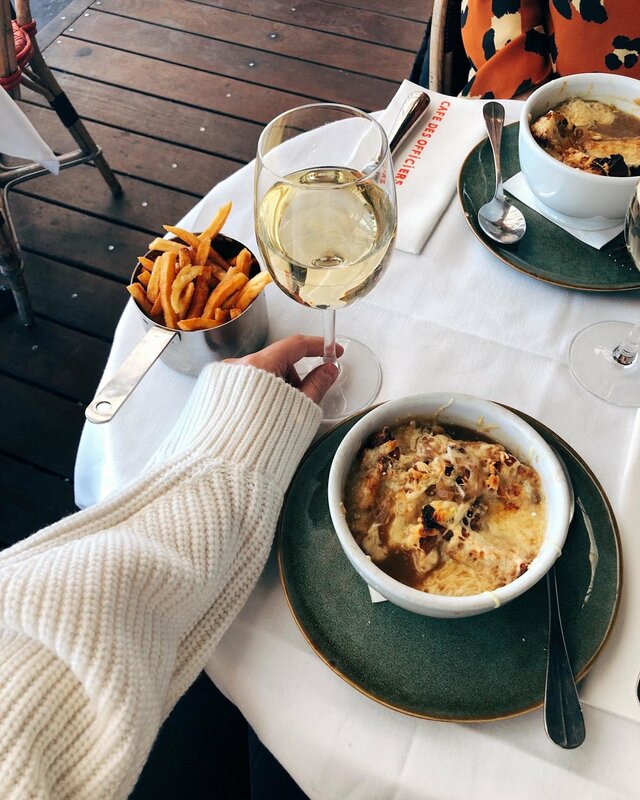 We set ourselves up for a few hours and ordered some Prosecco (and them some more), Onion Gratine Soup for two and a side of fries. And that was how our forty eight hours in Paris was going to be. Once our stomachs were full, we wrapped ourselves back up and headed towards the river. It was a lovely day wandering through the quaint streets, towards Le Bon Marche, the department store, to eye up their incredible Christmas display. We then took ourselves along the river, via Notre Dame, and stopping to admire their outdoor garden centre spots (if only my backpack could have fitted in a few plants...), before heading deep into the Latin Quarter.Mama Mcfred hadn't been to Paris in well over 16 years, if not more, so she loved exploring the streets and admiring the Parisian beauty. I am however ashamed to admit, that as we wandered the Latin Quarter, my mind had completely forgotten all about THE CHEESE. The fondues, and the raclette's, and although I was embarrassed at myself, there was a part of me, that almost felt even more delighted upon realising (or remembering, whichever way we look at it...), the amount of cheese we were about to consume for the next few days. 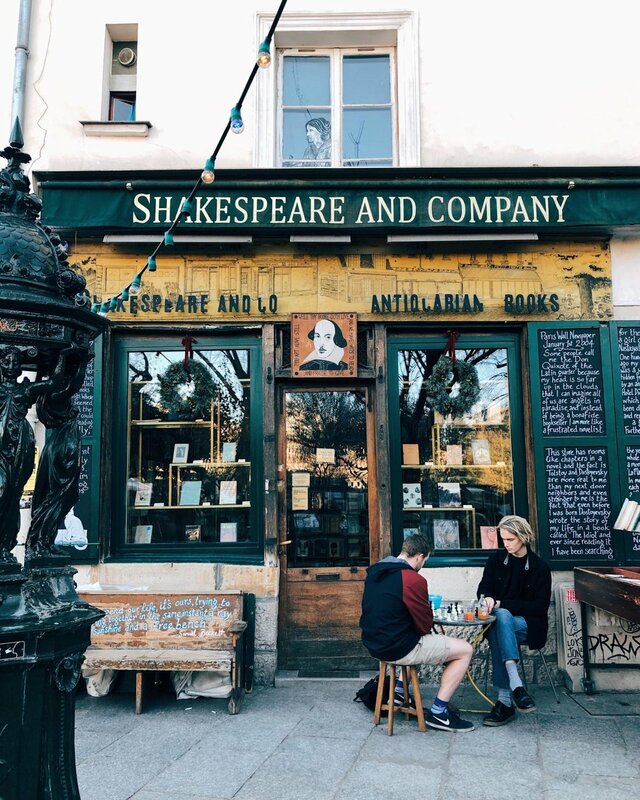 Whilst in the Latin Quarter, you can't not stop by Shakespeare and Company - because if that isn't the definition of a cute bookstore, then I don't know what is. 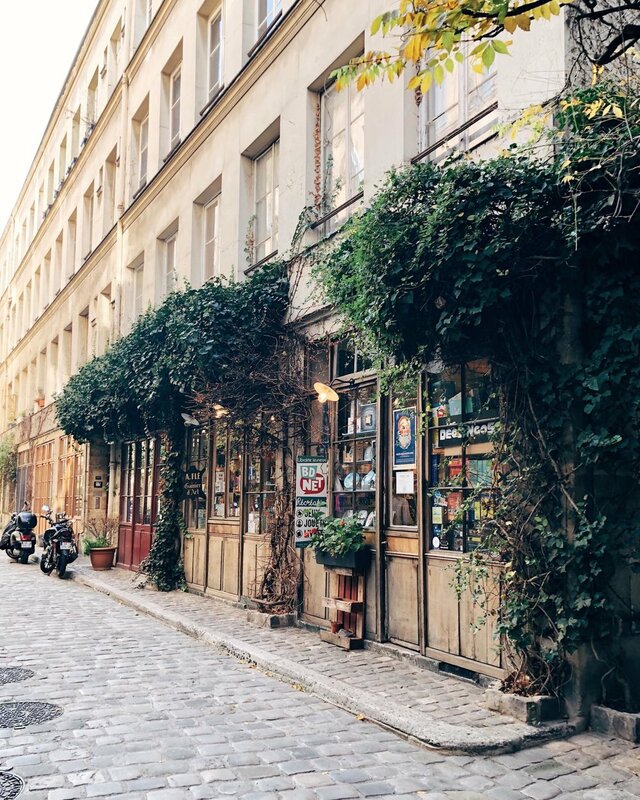 I just love the street it's located on, that oozes a charming yet vibrant and playful atmosphere. Everything about it is just so friendly. Oh and Le Petit Châtelet looks very quaint! After wandering some more and taking a stroll along the Christmas markets we came across, we popped in for a quick drink at LouLou's which looked warm and inviting, and the perfect place to warm up, as we were working our way towards our hotel for the night. Whilst we only stopped for a fresh mint tea and coffee, their breakfast menu looked incredibly tasty, as did their cocktails. Oh and they're super friendly too! 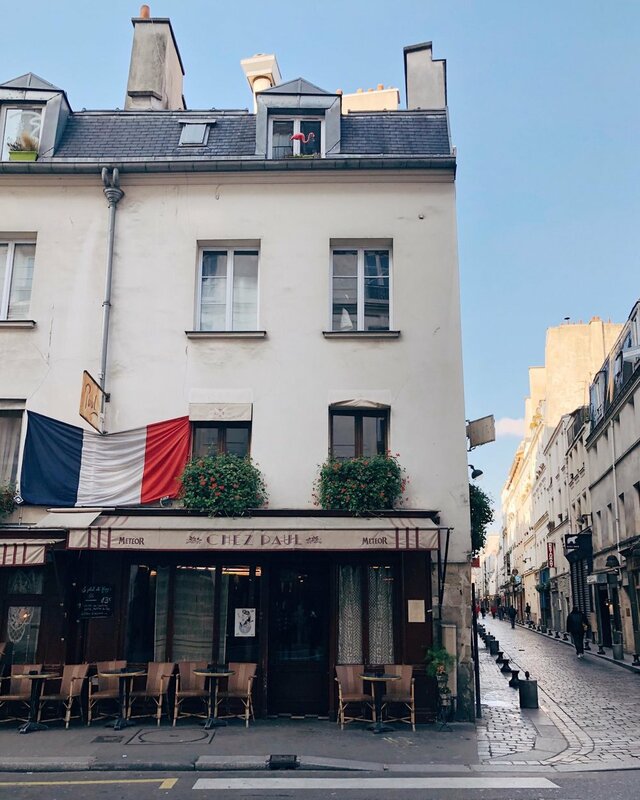 We'd booked Hotel Henriette for the night, which was roughly a 30 minute walk from the Latin Quarter, and actually it was lovely to see the little streets of Paris that sometimes you might not. 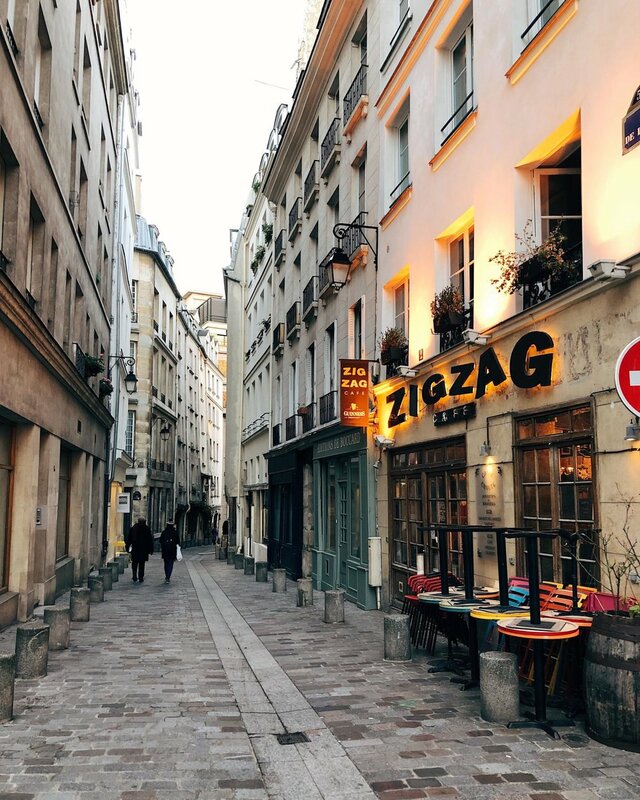 We couldn't stop admiring all the facades and delicate shops that were on every corner, and found ourselves changing our minds every five minutes over where we would be eating dinner. So we checked in, took our shoes off for half an hour and then freshened up to go in search of cheese. And wine. 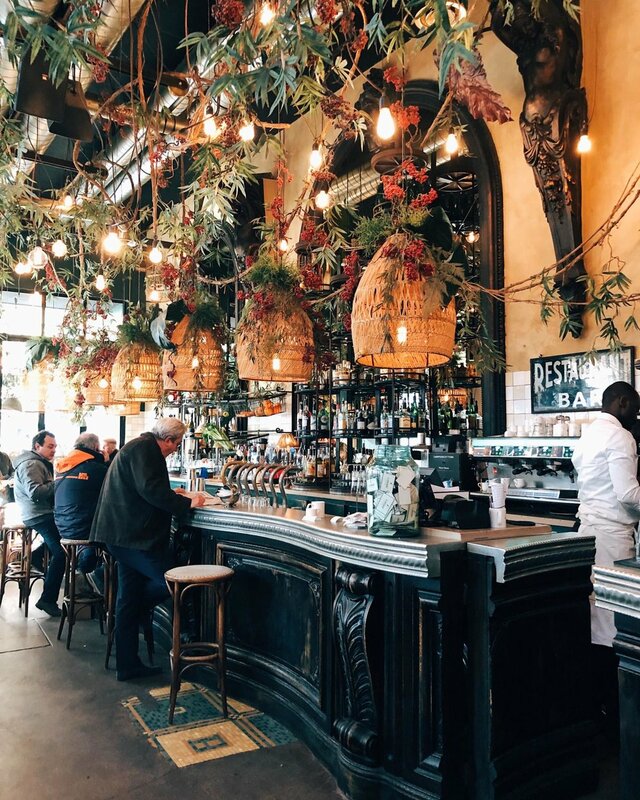 Whilst we debated where to eat on Rue Mouffetard, as there was so much choice, we stopped by in Le Mouffetard and propped ourselves up at the bar, ordering two Aperol Spritz's followed by another few. 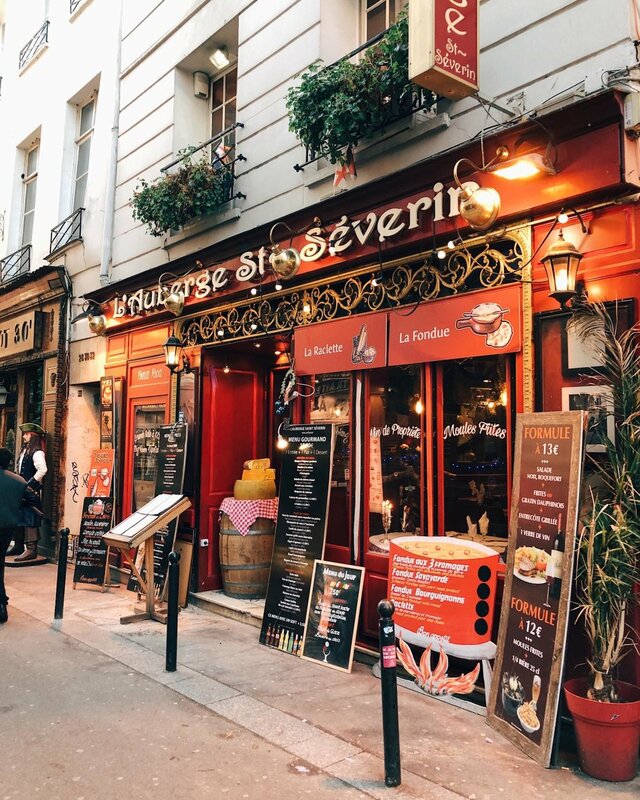 Rue Mouffetard has so many restaurants, each serving set courses, or more traditional food. We eventually decided on L'Assiette aux Fromages, for it's cosy and ski-lodge-like atmosphere. The night was spent enjoying fondue, and some more cheese with mozzarella and bread, and vegetables and plenty of wine. And then of course, a night cap G&T, just because. We were up fairly early, but didn't rush to leave - because let me tell you, those beds at Hotel Henriette are VERY comfy and we could have easily stayed a few more nights. Easily. 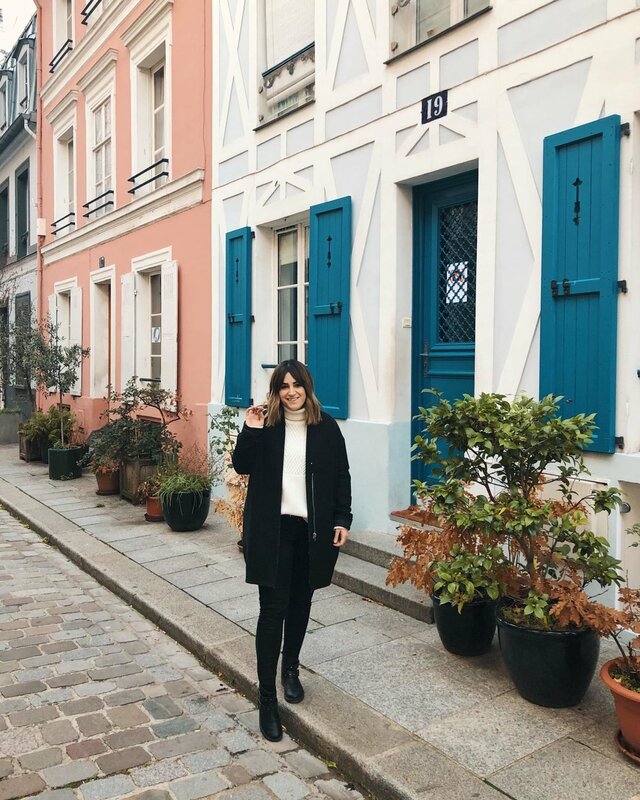 Once we were showered, packed and said our goodbyes to the hotel, we picked up a pastry on route to breakfast, and took a detour over the river, via quite possibly my favourite street,Rue Crémieux. There's definitely something about those colourful houses, and their array of plants outside, that just appeal to me. I would most definitely be happy living in one of these houses for sure. We then stopped in Bonton, wishing we could buy more Christmas presents - and couldn't refuse a snap in the photobooth. 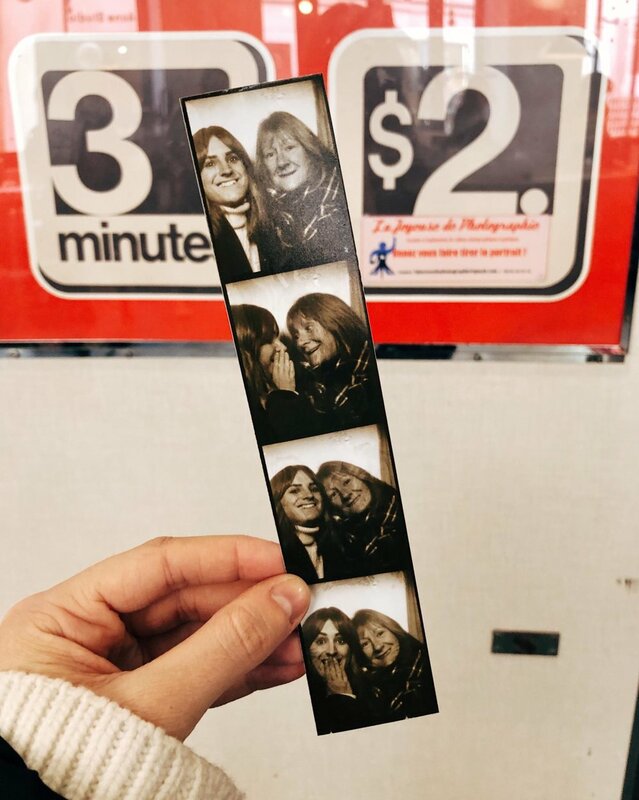 It's now becoming a thing, wherever I travel, to find an old photobooth, and collect those memories of a trip, in print form.I worried a little on the trip, that I was annoying my Mama Mcfred, for constantly saying "ooh let's just wander down this street", but actually, that kind of was the beauty of our trip. We hadn't made any real plans of where we wanted to go, or where we wanted to be, so we could wander. And that we did. And we found some adorable little back streets, and came across places we probably wouldn't have normally. And actually, that made me fall in love with this city even more. We'd found a cute cafe on the corner as we made our way to the tower, and ordered a glass of Wine and Soup (again obviously), for a quick pit stop. 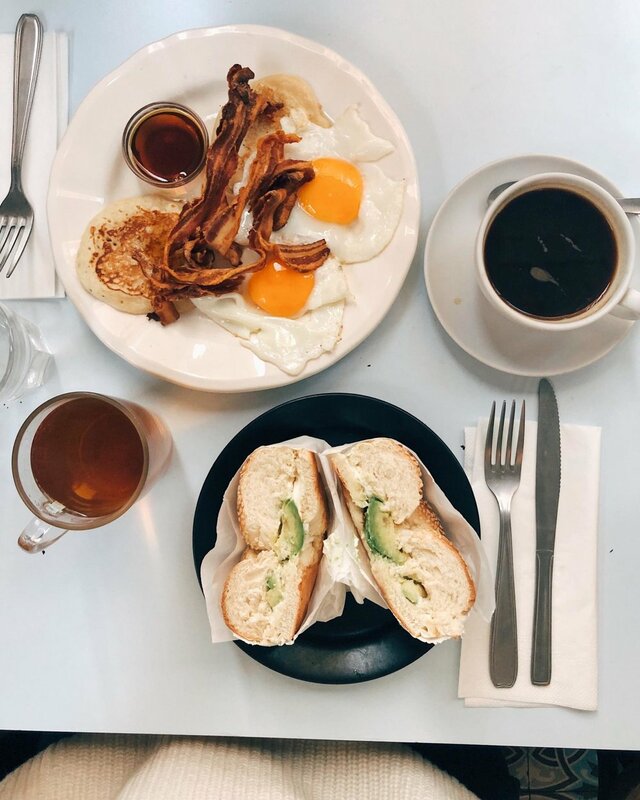 It was only after we checked our phones, that we realised we'd spent nearly two hours drinking, nibbling on fries and chatting away, so we wrapped ourselves up and hurried along to get a quick look of the tower, before ordering an Uber to the station. It might have only been a brief trip, but it was so nice to spend a few days with my mum, and no plan in sight. And I can guarantee, I'll be back in this beautiful city very very soon.